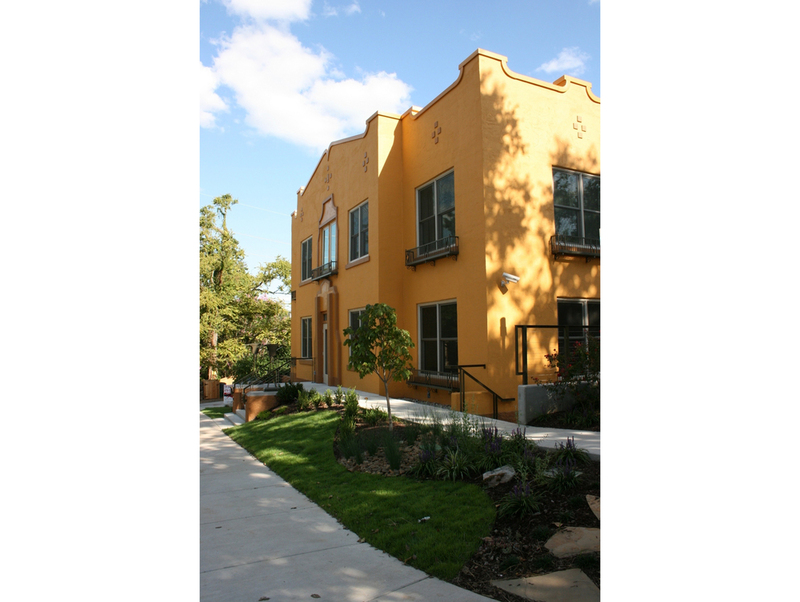 This restoration project transformed an 80-year-old apartment building from significant disrepair into a vibrant landmark of its historic neighborhood. Great care was taken to preserve the style and character of the original building. On the exterior, the façade was re-plastered, tile fascia trim was repaired and replaced, iron grillwork was restored, and paint colors were chosen to match what was original finishes. Modern design elements were implemented to make the space more energy efficient, light, and accessible, such as new windows and a light well. Inside the building, original wood floors were refinished and minimalist wood trim work, cabinetry and light fixtures were installed to reflect the efficiency of the art-deco-era building. Landscaping elements, such as trees, sidewalks, and bicycle racks were added to improve the surrounding streetscape.